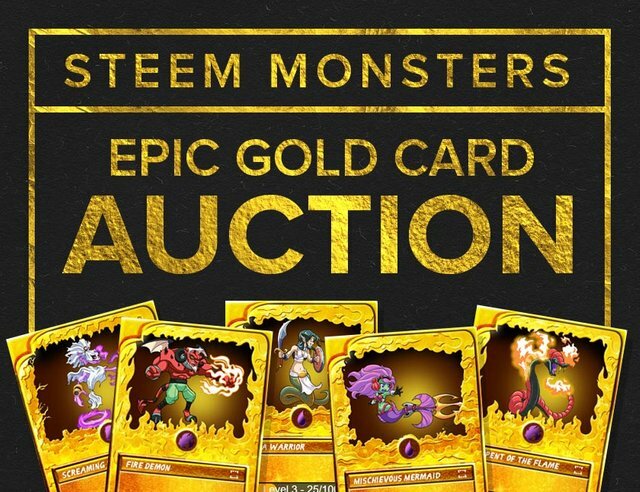 Epic 5 Gold Foil Card Steem Monsters Auction! 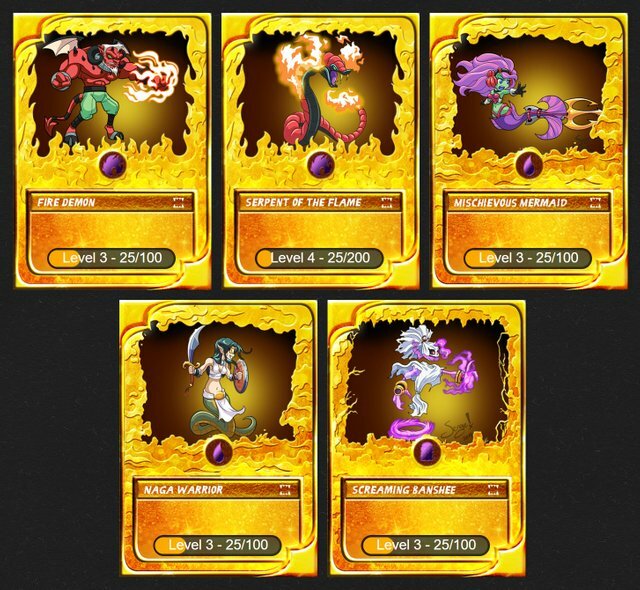 Up for auction is a collection of 5 Epic Gold Foil Cards for Steem Monsters Trading Card Game. I will send cards to the winners Steem Monsters account as soon as the auction ends. In your comment below, reply with your bid.